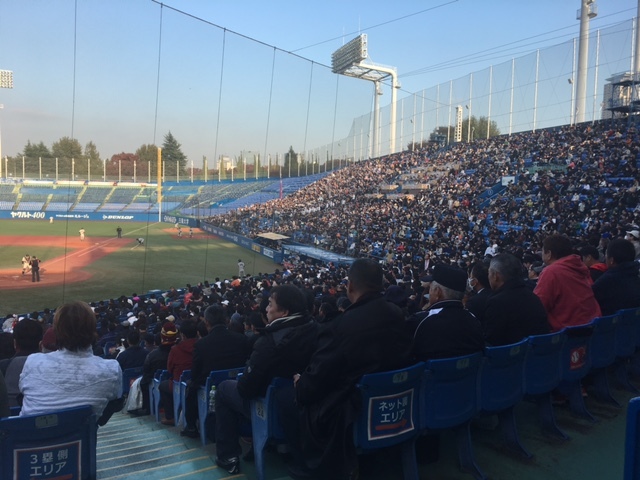 The winner of high school tournament will secure an additional spot in the 89th National Invitational High School Championship at Koshien Stadium in Nishinomiya to be held for 12 days from March 19, 2017. In addition, the regional high school federation of the champion of this year is invited to send its regional All Stars to participate in the Japan-Taiwan high school exchange series in Taichung from December 24 to 27. They will be joined by All Stars of Nara Prefectural High School Federation in the 4 teams’ Exchange Series to play against the winner and runners up of 2016 Black Panther Flag Tournament of Taiwan. Meitoku Gijuku High School of Nara’s Federation was the champion of the last year’s National Invitational Championship in Koshien. At the 2015 High School Exchange Series, two All Star teams representing Ehime Prefecture and Yamagata Prefecture played against their counterparts in Taiwan.